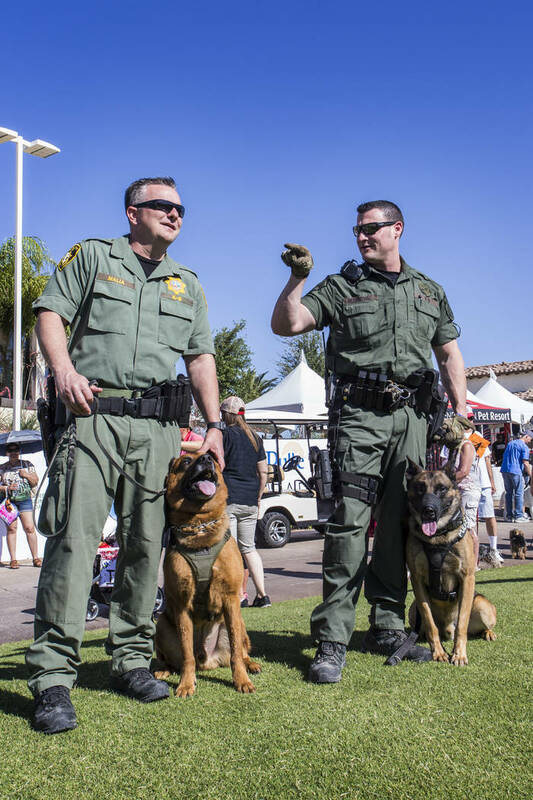 To kick off the 28th annual Las Vegas Metro K9 Trials Weekend, Lake Las Vegas and Friends for Las Vegas Police K9 will host the inaugural Lake Las Vegas / Viva La Paw Wet Pet 5K and Doggy Paddle at Lake Las Vegas. 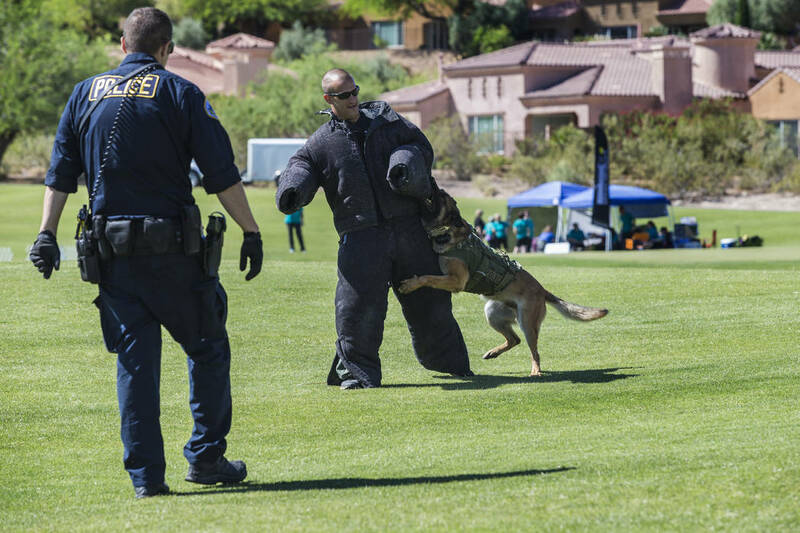 Lake Las Vegas A portion of the 28th annual Las Vegas Metro K9 Trials Weekend will be held at Lake Las Vegas Oct. 13. To kick off the 28th annual Las Vegas Metro K9 Trials Weekend, Lake Las Vegas and Friends for Las Vegas Police K9 will host the inaugural Lake Las Vegas/Viva La Paw Wet Pet 5K and Doggy Paddle at Lake Las Vegas. On Oct. 13 at 8 a.m., the Wet Pet 5K will begin at The Westin Lake Las Vegas. At 10 a.m. on Saturday, Lake Las Vegas Water Sports &Pet Scene Magazine hosts its inaugural Doggy Paddle at Reflection Bay Golf Club’s beach area. Both events are open to residents and the public with all proceeds going to Friends for LV K9. The Las Vegas Metro K9 Trials will begin on Oct. 14 at 8 a.m. K9 Trials are free and open to the public. 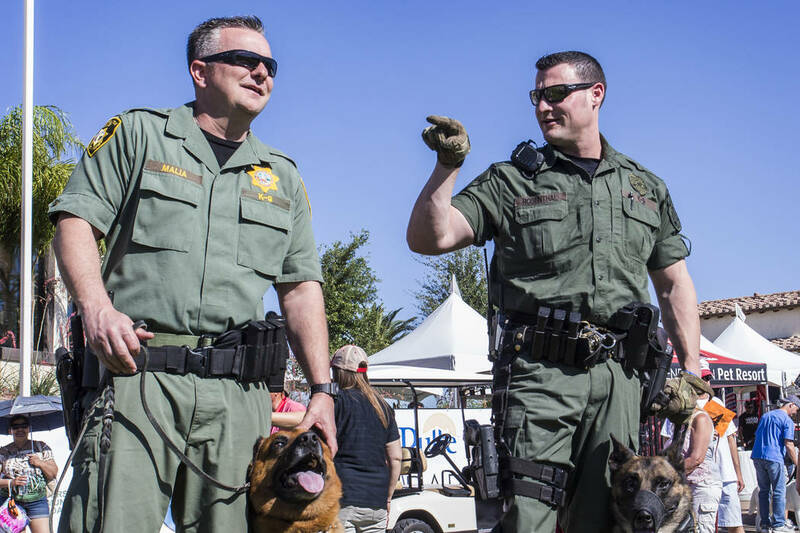 “Our local law enforcement officials and K9s work diligently to keep our community safe, and we are honored to give back and show support for their hard work and sacrifice,” said Andy Gil, director of media for Lake Las Vegas. The K9 Trials draws K9 units to compete from all over the country and internationally. This annual fundraising event is one of four benefiting Friends for Las Vegas Police K9. To learn more about the exciting homebuying opportunities available in Lake Las Vegas, visit lakelasvegas.com/new-homes. The 3,600-acre Lake Las Vegas community surrounds its own 320-acre lake and is a short drive from the Las Vegas Strip and downtown. To visit Lake Las Vegas or the community’s new home developments, take I-215 and continue east on Lake Mead Parkway. Follow Lake Mead Parkway past Boulder Highway, and turn left onto Lake Las Vegas Parkway. • 8 a.m. Lake Las Vegas — Viva La Paw Wet Pet 5K Fun Run, walk or just talk, The Westin Lake Las Vegas Resort and Spa, 101 Montelago Blvd., Henderson. • The Wet Pet 5K will be the first interactive event during K9 Trials weekend that showcases the public and K9 units. The 5K will start at The Westin Lake Las Vegas Resort and Spa and end at Reflection Bay Golf Club on the beach. To register, visit lakelasvegas.com/k9/ . • 10 a.m. Lake Las Vegas Water Sports and Pet Scene Magazine Doggy Paddle, Reflection Bay Golf Club. Participants can rent paddleboards, kayaks or just enjoy the beach and bay with friends, family and furry ones. Patrons are welcome to bring their own paddleboards and kayaks, or they can be reserved with Lake Las Vegas Water Sports. • 8 a.m.-4 p.m. — Las Vegas Metro K9 Trials, The Orleans Arena at The Orleans, 4500 W. Tropicana Ave., Las Vegas.